Elite 8 Viz Makeover Contest Deadline Extended! 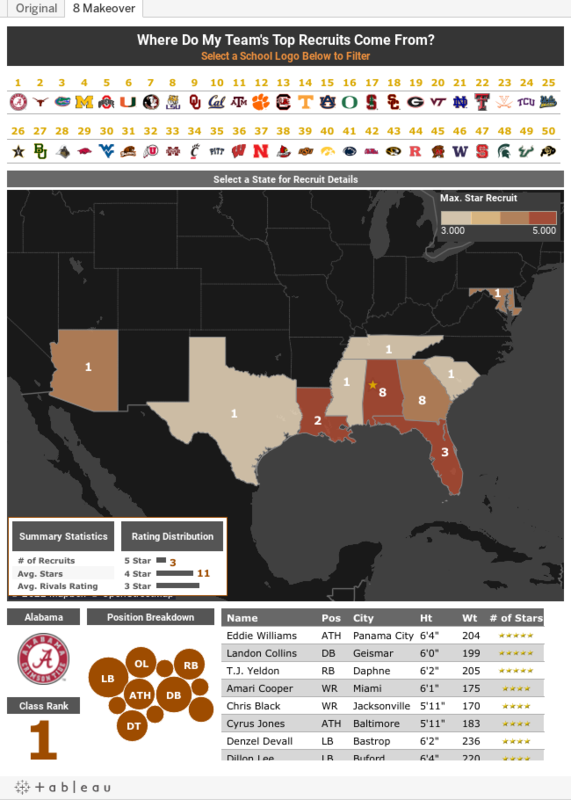 Last week we announced our Elite 8 Viz Makeover Contest. We know you've been dying to get your hands on those old dashboards and give them a makeover in Tableau Public 8 but realize that many of you haven't had enough time to work on your entries, so we are extending the deadline to submit a viz. We will now be accepting entries to the contest through Monday, April 8th at 8:00am PST. The 8 finalists that will make it into the Elite 8 will be announced Monday, April 8th at 6pm PST. To see the updated voting schedule, check out the Frequently Asked Questions page. For more information about the Elite 8 Viz Makeover Contest visit the contest page. Download Tableau Public 8 today and get working on those entries!